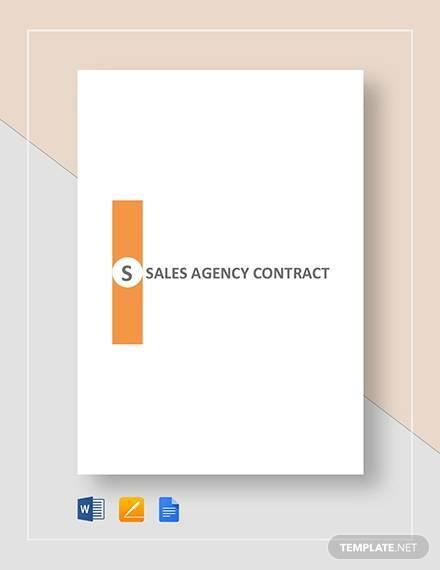 Many people who do business, purchase real estate property, apply for a job in a company, etc., all involve a contract. 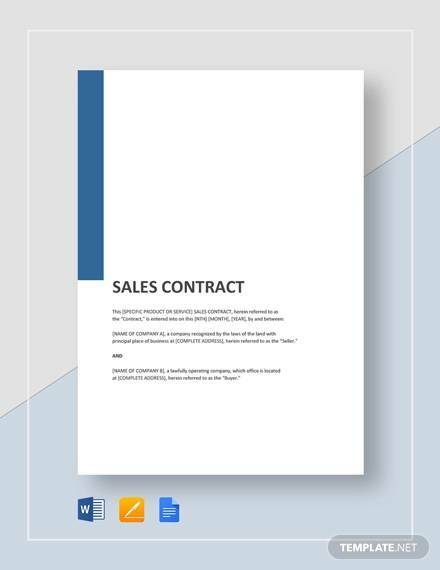 A legal contract is a written document useful when two or more parties go into an agreement. This is important in order to protect both parties as well as outline the roles and responsibilities of each party. 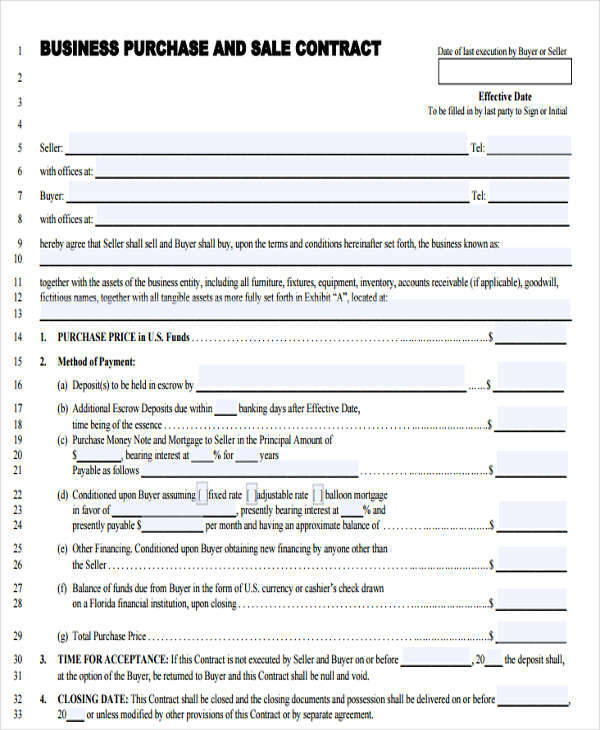 A contract between two individuals is a legal document. When a party fails to follow the conditions contained in the contract, he or she is legally liable and may be forced to pay for damages to the other party. 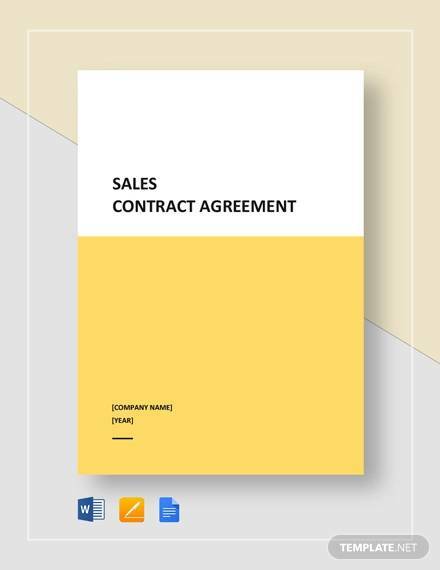 If you are looking for contracts, there are 12+ simple sales contracts available on this page. 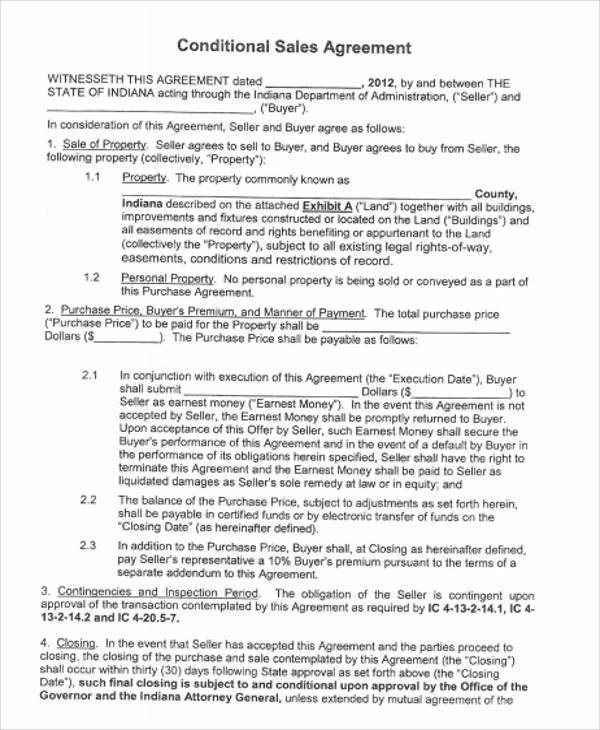 What Is a Conditional Contract in Real Estate? 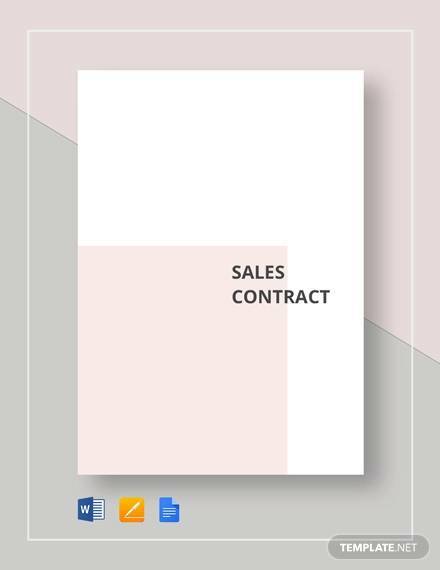 A conditional contract is a type of sales contract used in many real estate deals. 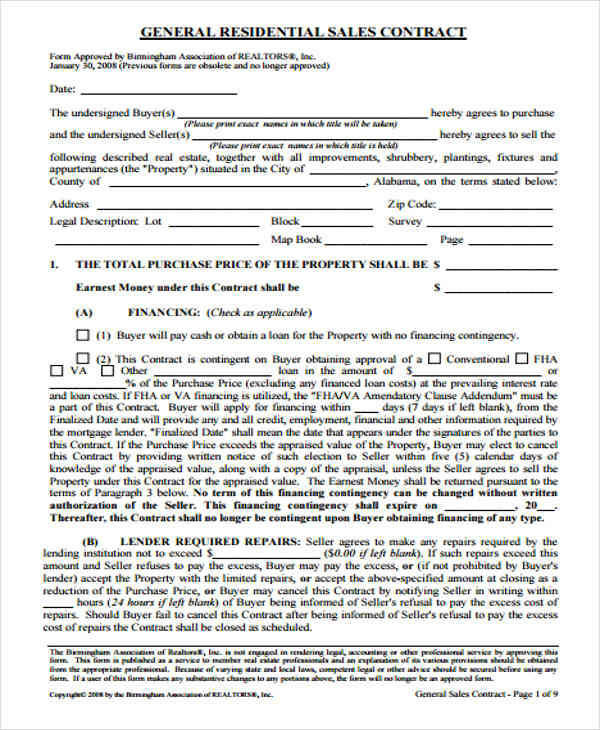 When buying a real estate under a conditional contract, the buyer can possess that particular property but is not legally theirs until the buyer has paid in full. 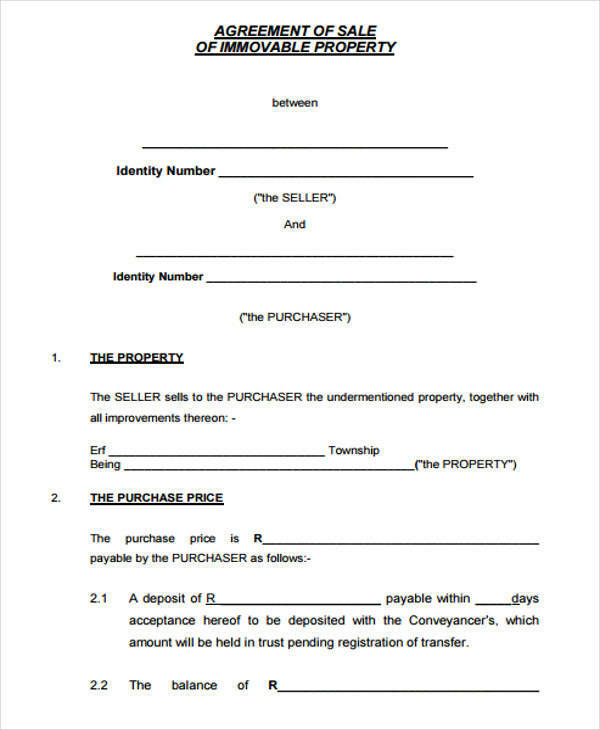 The seller does not provide the buyer with the property title until he or she has fully paid the seller. 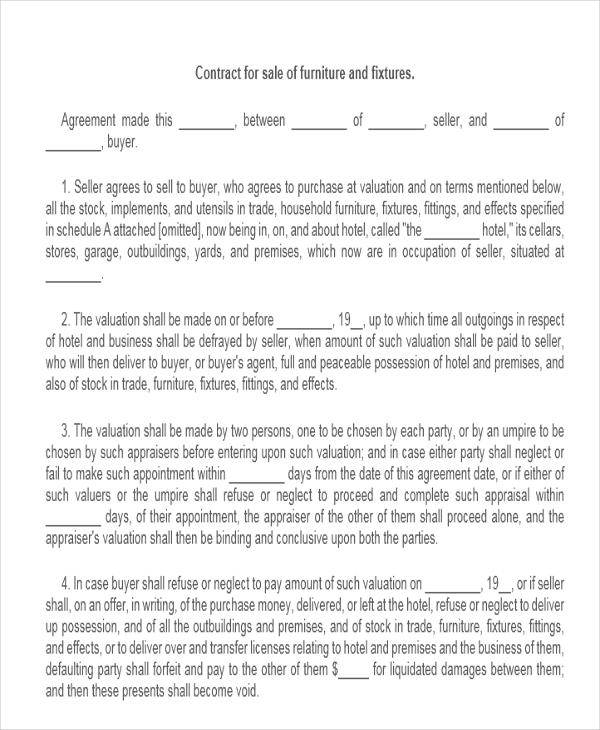 If a buyer fails to make a payment or violates what is agreed in the contract, the seller can repossess the property. A conditional contract is a more convenient way of buying a particular property since this doesn’t require you to secure a bank loan. What Is a Credit Sale? A credit sale refers to the purchase of goods or real estate that are paid through credit. When a buyer purchases through a credit sale, the goods or real estate are sold at a cash price. A credit sale typically has interest depending on the payment terms, although some companies offer an interest free credit purchase. The purchase price of a particular good is usually higher when you buy through an interest free offer. 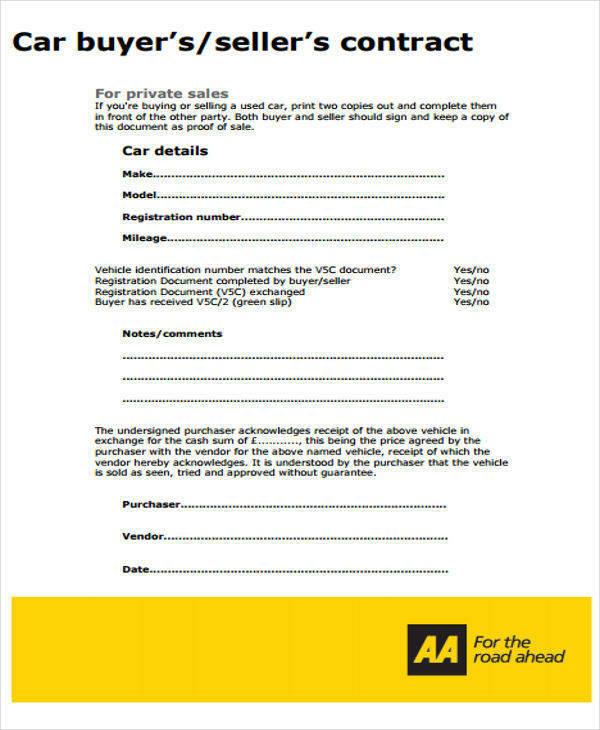 Additionally, our rent contract and vehicle contract are also available for you to download. 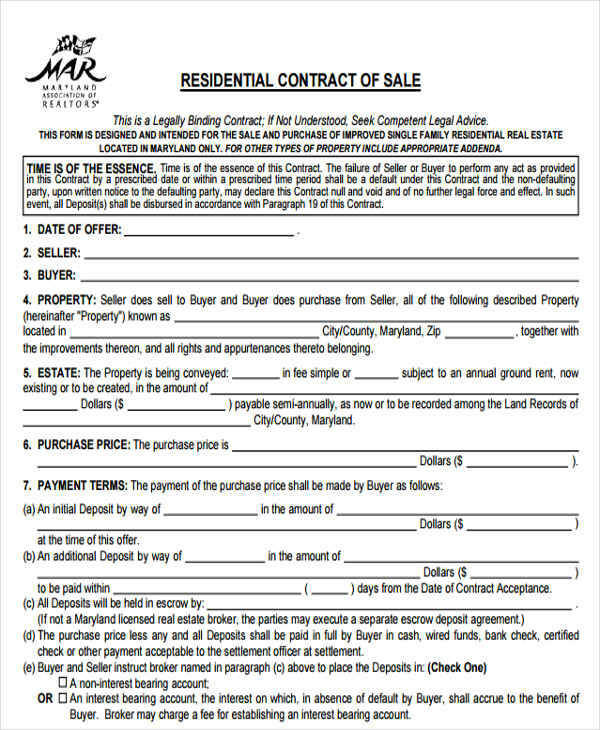 Every purchase of a property or real estate, whether for commercial or private use, requires a contract. 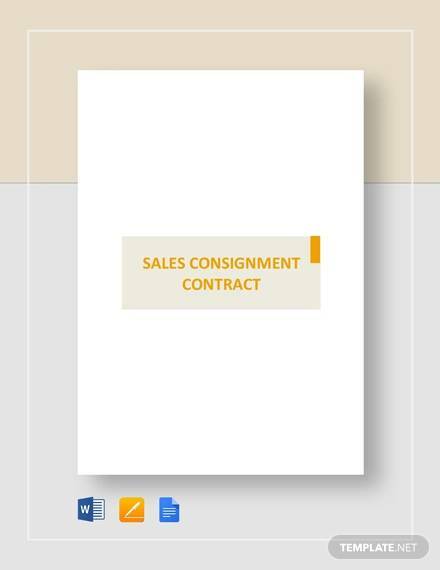 For a contract to be valid, it should contain elements that are essential in every contract. 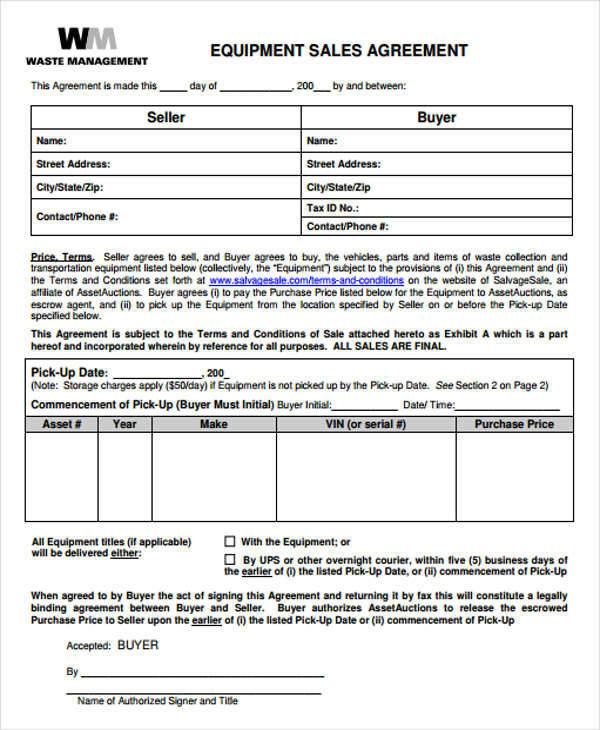 A contract sample can be used as reference when making one. 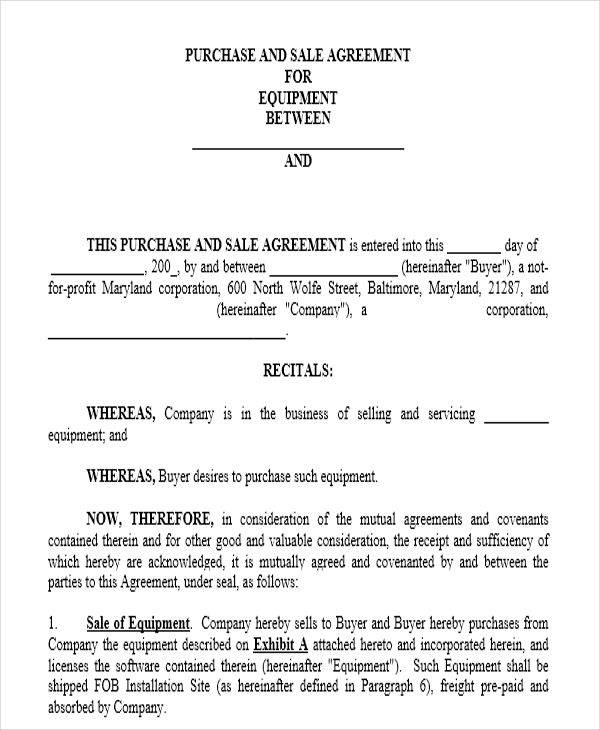 Legal Purpose – Just like any other contract, a real estate contract should contain a purpose. 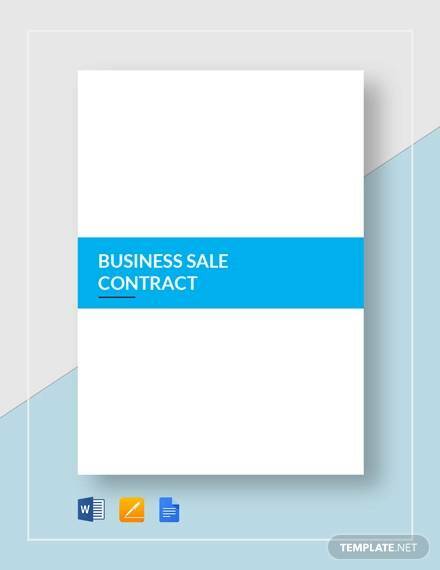 A contract that is used for illegal purposes is not considered a valid contract. For a contract to be valid, it must comply with legal laws. 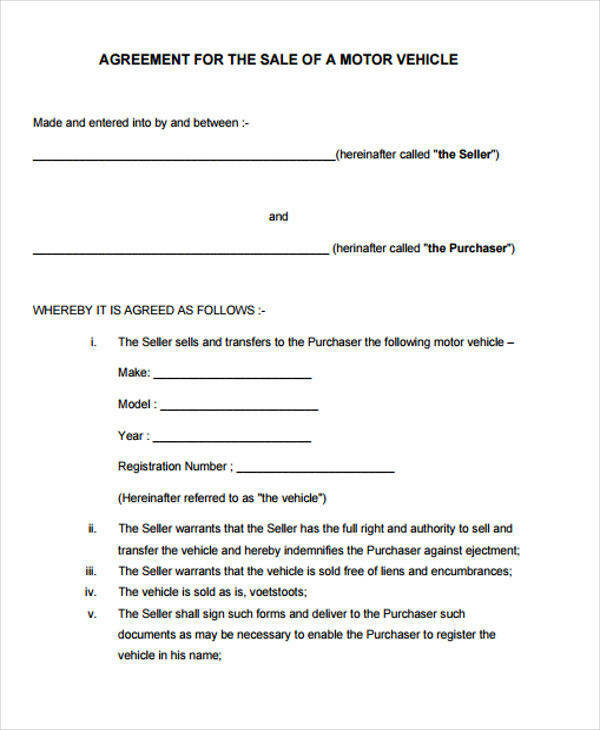 A lease contract and automobile sales contracts are two examples of a contract for various purposes. 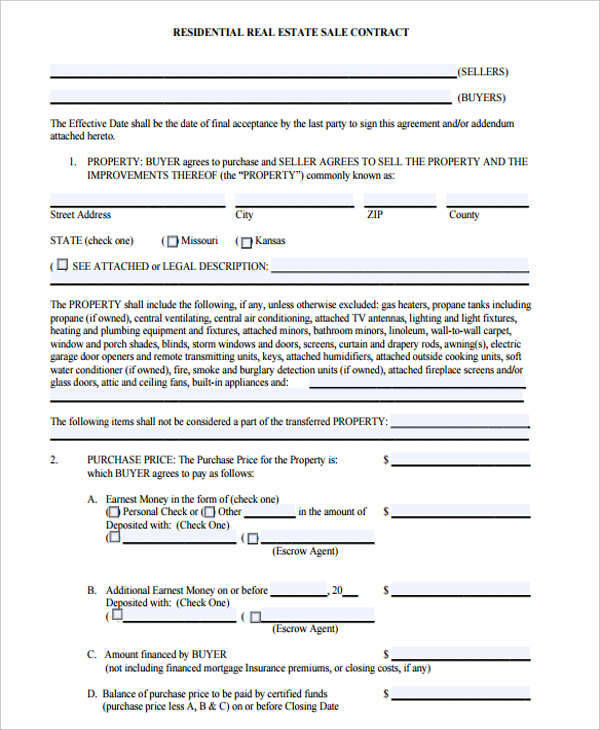 Competent Parties – When creating a real estate contract, both parties should be mentally competent and is of legal age when going into an agreement. 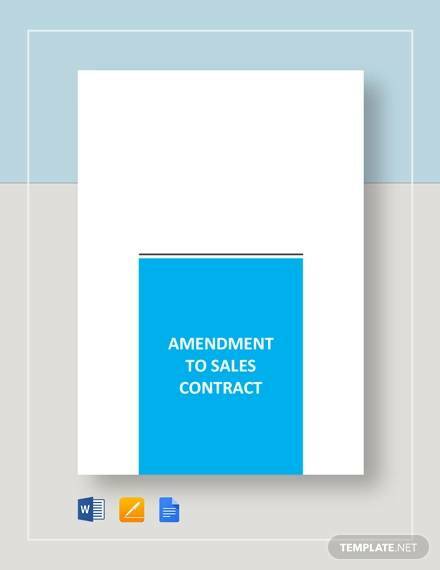 When a contract involves a minor, this is not legally valid, which means a contract has no effect. 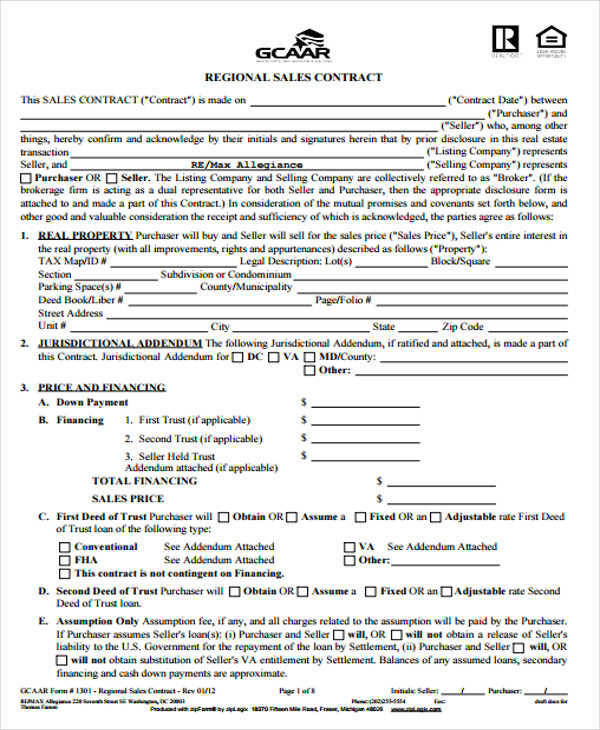 Offer and Acceptance – In every contract, or in this case a real estate contract, a buyer puts an offer to buy a certain property and the seller accepts the offer. It is important for both parties to reach a certain agreement. Consent – This means that when two parties go into an agreement, they should be doing it willingly and should not be forced to do so.